Repeater: A repeater’s job is to repeat an electrical signal. The form that our data has taken to be sent across a cable is one’s and zeros. The repeater takes an incoming signal and then generates a new clean copy of that exact signal. This prevents maximum cable lengths from stopping transmissions and helps ward off attenuation; the gradual weakening of a signal. 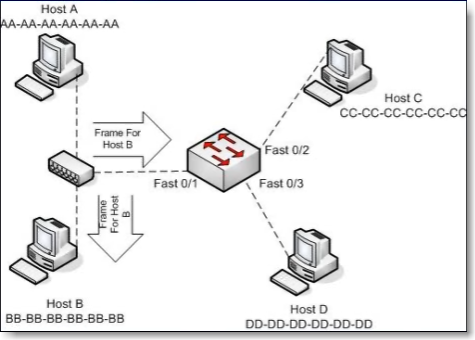 Hubs – only one PC at a time can send data; if multiple PC’s are connected to a single hub, it’s One Big Collision Domain. To prevent collisions, a host will use CSMA/CD (Carrier sense multiple access with collision detection). a transmitting data station that detects another signal while transmitting a frame, stops transmitting that frame, transmits a jam signal, and then waits for a random time interval before trying to send that frame again. Bridge – used to create smaller collision domains. Place a bridge between multiple hubs. More collision domains is more beneficial. Segmenting the collision domains does not reduce the amount of broadcasts (for example, multiple hubs separated by multiple bridges is still one big broadcast domain). Every single host will receive a broadcast. Broadcasts are not a bad thing, broadcasts can be beneficial by providing routing updates. But we do want to lower the number of broadcasts. 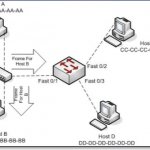 Switches: each host is in it’s own collision domain. Collisions cannot occur. Each host has more bandwidth available; not sharing bandwidth. Theoretically each host can run at 200mb (100mb sending, 100mb receiving with full duplex). Switches by default do not break up broadcast domains. Microsegmentation is a term sometimes used with Cisco documentation to describe the one host/one collision effect. The switch looks at it’s Mac address table to check if there is an entry for the destination MAC address, but first the switch will look to see if there’s an entry for the source MAC address in the frame. The switch uses the source MAC address to build the table. You can statically configure MAC address tables but not recommended. #show mac-address-table — The command we use to look at the mac address table on a switch. An unknown UNICAST frame is always flooded. – If an unknown unicast frame has to hit 79 other ports in an 80 port switch, it can cause a bit of overhead on the switch/cpu. If the switch does not have an entry for the destination mac address, and a host replies to the flood with the correct response, the switch will create an entry for the new host. Switches never send a frame back out the same port from which the frame arrived. Flooding: When the switch has no entry for the frame’s destination MAC address. The frame is sent out every single port on the switch except the one it came in on. Unknown unicast frames are always flooded. Forwarding: when the switch does have an entry for the frame’s destination MAC address. Forwarding a frame means the frame is being sent out only one port on the switch. Broadcast frames: a frame that is sent out every port on the switch except the one that received it. Broadcast frames are intended for all hosts, and the MAC broadcast address is ff-ff-ff-ff-ff-ff. We can statically configure a port with a MAC address but not best practice. Dynamically learned MAC addresses will age out with a default of 300 seconds (5 minutes). 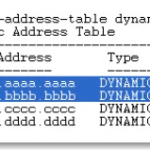 The benefit of Dynamically configured MAC addresses is that if the host is not seen in 5 minutes or the interface goes down; physical damage to the port, when the host is connected to a different port, the switch will dynamically update the table with the source. The current entry will be aged out. Let the switch do it’s work, and use dynamically assigned addresses. When the switch forwards, floods, or filters the frame, there is another decision to be made – how will the forwarding be processed? Store and Forward is the default method on newer switches. The entire frame is stored and then forwarded. Store and Forward – uses FCS – allows the recipient of the frame to determine if the data was corrupted during transmission (error detection). In the incoming frame the switch will read the destination MAC address before it looks at the FCS. The switch can check the FCS before forwarding the incoming frame. Gives us more error detection than the other two methods above. Cut-Through – switch reads the MAC addresses on the incoming frame, and immediately begins forwarding the frame before rest of the frame is even read. Cut through is a lot faster. Cannot check for damaged frames. Fragment-Free (middle ground for speed vs. error detection) works on the presumption that the corruption will be found in the first 64 bytes of the frame for damage. If no damage, then the forwarding process will begin. Use virtual LANs to segment a network into smaller broadcast domains. In a production network, you can have a lot of hosts and each host can send out broadcasts with a cumulative effects. Hosts tend to respond to Broadcasts with a Broadcast of their own. Broadcast Storm: can max out a switch’s resources (memory and cpu) making the switch useless. But before this, broadcasts may take up most of the bandwidth. Create multiple broadcast domains to limit the scope of a broadcasts. By default, you will have a single vlan on modern cisco switches. Once host2 and host4 are on the same vlan they won’t be able to ping other hosts on other vlans. No traffic – pings or data packets can be sent from one VLAN to another without intervention of a Layer 3 device; most likely a router. In these posts, we will document the fundamentals of networking. 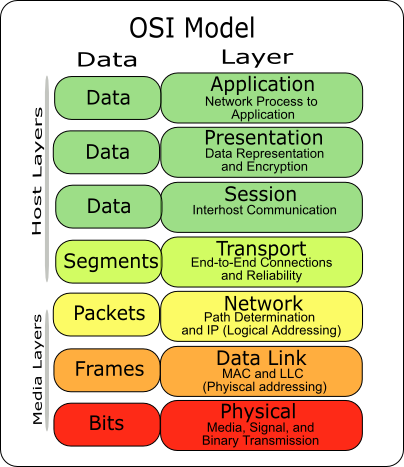 We will begin with the basics, including the OSI model, and work our way up from Layer 1 to layer 7, but mostly concentrating on Layers 1-3. As many have learned, the path to success in troubleshooting networks is knowing and understanding the fundamentals. End users are interacting with the layer itself. When a user is being authenticated, that user is interacting with layer 7. If encryption is taking place, that is layer 6. The application layer determines if a remote communication partner is ready. For example if a modem is in use, the application layer asks if the modem is ready. Agrees on procedures for communication; data integrity, privacy and error recovery. Protocols running at layer 7: SMTP, POP3, Telnet, HTTP, FTP, SNMP. Formatting of data. For example if Word opens a file in gobbly gook, that is a presentation layer issue. No agreement has been made for formating. Compatability with the OS, ASCII, Binary, compression. JPG, MIDI, TIFF. Any file type is how data is being presented. Handles creation, maintenace and tear down of communication between hosts. The communication itself between two hosts is called a session. Sessions can be short. The session layer manages communication. Provides Full Duplex, Half Duplex, or Simplex. The Session Layer is commonly implemented explicitly in application environments that use remote procedure calls. Establishes end-to-end connection between two systems. Session data is received from the upper layers and the transport layer makes sure the data gets to the destination in the correct sequence, and without errors. TCP (Connection-oriented) and UDP (Connectionless) are two methods of transporting data at the Transport Layer. IP runs at this layer, routers at this layer (routing layer), IP addresses, layer addresses, etc. Routing is a two question process: Is it a Valid path? And what is the Best Path to get there? This is where our switches and bridges run. WAPS also operate at this layer. Cable modems/DSL modems. Ethernet, HDLC, PPP, Frame Relay. There is a big difference between error detection and error recovery. Layer 2, we have error detection with FDS Frame Detect Sequence. MAC addresses/Hardware addresses/Physical Addresses/Burned In Address (BIA) are at Layer 2. There is such a thing as a layer 3 switch; a single device that can do the routing and the switching. 1’s and 0’s. 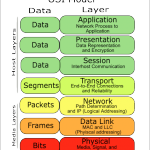 The Physical Layer handles the actual data being transmitted. Cables, pins, voltage running at physical layer. TCP Three-way handshake: SYN, SYN-ACK, ACK. Error detection is finding an error. Error recovery is doing something about the error. For example some layers have error detection – layer 1, but not error recovery. In transmitting several segments, when the recipient sends the ACK number, it sends the next number in the sequence that the recipient expects to receive. An acknowledgement timer will re-send: Positive Acknowledgement with Retransmission (PAR). Windowing is the amount of data that the sender is allowed to transmit without waiting for an ACK. The recipient decides the size of the window. This gives the recipient the ability to decide the amount of data flow. (Flow Control) Sliding Windows refers to dynamic adjustment of the size of the window itself. Crosstalk – EM interference; a signal crosses over from one cable to another. Can be described as Near End Cross Talk (NEXT) or Far End Cross Talk (FEXT) depending on which end of the cable is being tested. PSNEXT is Power Sum Near End Cross Talk which is the calculation made when a NEXT test is run. When the NEXT result for each pair of wires is added, the result is the PSNEXT. (Not to be confused with the management software titled PSNEXT). Straightthrough cable – used to connect a PC to a switch or a hub. The wire connected to Pin 1 on one side is connected to Pin 1 on the other, the wire connected to Pin 2 on one side is connected to Pin 2 and so forth. CrossOver Cable – typically used between two switches, and when two switches are transmitting data over the same pair of wires, a crossover cable is used. A switch to switch connection with a CrossOver Cable is also called a TRUNK. Rollover Cable – All eight wires in the cable will “roll over” to another pin at the remote end. eg. Pin 1 at one end rolling over to pin 8 at the other end. Pin 2 rolling over to pin 7 etc. Typically Blue Cisco cables that come with each Cisco router with a DB9 connector are Rollover cables. (Get a USB adapter so that you can use it with your laptop). These cables typically connect to the console port on the switch/router. MAC address – Media Access Control Address (Also known as Ethernet/NIC/LAN/Physical/BIA address): used by switches to send frames to the proper destination. 48bit address. The MAC address has two parts, the first being the Organizationally Unique Identifer (OUI). The OUI is assigned to hardware vendors by the IEEE. A given OUI is assigned to one and only one vendor. The second half of the MAC address is a value not yet used by that particular vendor. Outlook 2010 – Cannot create new profile; An unknown error occurred, error code: 0x80070057 – Solved! One of our Windows 7 Pro, 32 bit users (not SP1), experienced Outlook 2010 failing on a regular basis. The client was setup with Auto-discover and the application would crash / freeze/ hang randomly as well as could be made to crash by going into the Calendar, create a New Meeting->Scheduling Assistant -> and enter another user’s name. “An unknown error occurred, error code: 0x80070057”. Running a search on these errors produced a lot of options for repairing the problem including checking OWA IIS certificates, installing .NET on the exchange server, Exchange SP2/SP3, editing your hosts file, Exchange PowerShell setting virtual directory, and the list goes on. The download is not easily accessible on this page, so don’t be discouraged and go ahead and “View and request hotfix downloads” from the link at the top of the page. This link will send you to a Hotfix Request page where you place a checkmark on the update you wish to download. Be careful because if you visit the page with a x64 machine, you will most likely be prompted to download the x64 client. It’s best to visit the hotfix page on the client that has the problem. Enter your email address and then confirm. Type in the captcha and then hit “Request hotfix.” You will be quickly emailed the link to the hotfix download as well as a password. *Note: Prior to installing a hotfix of this nature, it is always recommended you backup your system (Windows 7 backup is a pretty good free image-based backup, my next best recommendation is something like Acronis 10.) Also, it is a good idea to take a manual System Restore point: Start -> Right-click on Computer, choose Properties, System Protection, Create. Once the hotfix has been downloaded, when you try to run the .exe you will be prompted for the password for the file to run. Enter the password that was emailed to you and complete the setup. After the hotfix completes, for good measure, go ahead and reboot. After the restart, keep Outlook closed and go back to the Mail control panel applet. Go to Profiles ->Show Profiles… -> Add… and create a new Outlook Profile. Under “When starting Microsoft Outlook, use the profile: -> Always use this profile -> Hit the dropdown for the newly created profile. Start Outlook. This will create a new Outlook profile for the user. 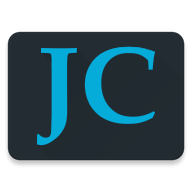 Also, a new .ost file will be created which if the mailbox size is large, it may take a considerable amount of time to rebuilt the new profile. You may need to visit the old profile in the Control Panel Mail Applet to see if any data files were attached or settings/signatures were modified or need to be created or copied to the new profile. You can test to see if the application crashes by visiting the Calendar Scheduling Assistant.